Welcome to Dru's Cozy Report. This month we're visiting a librarian, a professor, a book store owner, a clothing store owner and a cable cooking show star. Lindsey is just getting into her groove as the director of the Briar Creek Public Library when a vacationing New York editor brings a little buzz to the small town. It's the perfect chance for her friend Beth to sell the children's books she's written. Unfortunately, Beth's boyfriend, Rick, a famous author and local celebrity, tries to stop her. 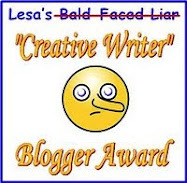 When Lindsey and Beth meet the editor, they uncover the real reason for Rick's bad attitude. They go to confront Rick at his house on the storied and mysterious Thumb Islands, only to find him murdered. The local chief of police likes Beth for the murderer and isn't interested in looking elsewhere. Now Lindsey has to act fast before they throw the book at the wrong person. When Beth learns what her boyfriend has done, she goes to confront him only to find his murdered body. When it looks like the local cops are zeroing in on her as the prime suspect, Lindsey steps up and begins to investigate Rick only to discover that his life is not what he has presented to the people of Briar Creek, thus begins Lindsey status as an amateur sleuth. What a great debut series. This evenly-paced and well-crafted mystery had me quickly turning the pages as I could not put this book down. I thought I knew who the killer was until the author's clever ploy tripped me up. The calming tone, the local setting, which when described made me want to visit this town, was a perfect backdrop to the wonderful characters that are introduced. This is a great beginning to a fantastic series that I hope to see continue for years on end. 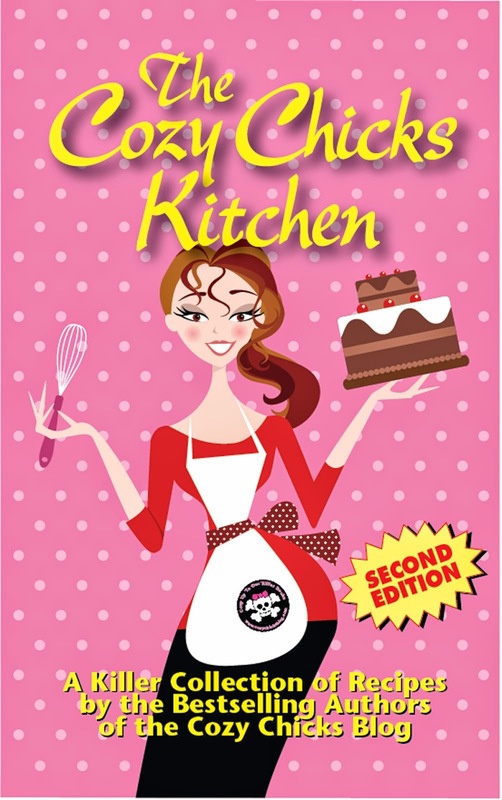 Jenn also writes the "Cupcake Bakery" mystery series. Between teaching, publishing puzzles and brainteasers, and beading at the local bead shop, A Hill of Beads, Sophie has a full schedule. Finding a chance to unwind isn't always in the equation. She still manages to make time to celebrate famous scholars of the past with her students. But their latest party makes one of their own a thing of the past. Dr. Keith Appleton was the most disliked professor on campus, but it was Sophie's assistant, Rachel, who had a real problem with him-he refused to recommend her to medical school. Sophie is confident that there's a calculating murderer among them, and equally confident it's not Rachel. The only possible answer is for Sophie to eliminate the lowest common denominator from campus herself. The relationship between Keith and Rachel was not a good one and when Keith's body is discovered, Rachel becomes the prime suspect in his murder. Believing that Rachel is innocent, Sophie systematically gathers clues that will reveal the killer's identity. This was a good mystery with a well-thought out plot that was hard to put down from the first paragraph to the conclusion. I like the steady and comfortable tone of the story and the interesting conversations that gave me more insights into this wonderful cast of characters. Also included are bonus brain teasers that were fun to do. This enjoyable series is a welcome addition to the cozy mystery genre. Camille also writes the "Miniature" mystery series. PTA meetings at Tarver Elementary School can get pretty heated. But after PTA member Sam Helmstetter is strangled in his car following a meeting, Beth and her best friend Marina, fear there may be a cold-blooded killer in the group. Meanwhile, rumors spread that Beth's newest employee at her children's bookstore is the murderer. Yvonne served time for a similar crime, but DNA evidence eventually proved her innocent. As the new PTA vice president organizes a boycott of the bookstore and the real killer roams the streets of Rynwood, Wisconsin, Beth realizes she'll need to stick her own neck out to catch an elusive strangler. Not again and not in Rynwood. When Beth finds Sam slumped in his car, she never expected him to be a victim of murder. A recent hire who was exonerated as a convicted killer spurs rumors and fears and when Beth's livelihood is threatened, she and best friend, Marina, resolve to find the killer before all is lost. This was a good mystery that kept me guessing until the end. This charming and character-driven tale kept me entertained by the relationship, the antics and enjoyable banter of best friends Beth and Marina as they search for motives among Sam's acquaintances. Rounding out this wonderful story and giving Beth support are her children and romantic interest, Evan. This good-humored and likeable series is a satisfying adventure with good friends. Even though Maddie is swamped running Vintage Magic and dealing with the consequences of the visions she gets from certain of her fashion treasures, she's agreed to plan her sister Sherri's baby shower and mentor a design intern. But when Maddie goes to the Mystic train station to pick up her new student, she finds a murder scene instead. The victim: intern Isobel York. Cause of death: suspicious circumstances. Later that evening, a woman claiming to be Isobel appears on her doorstep, and Maddie knows it's not just a case of "whodunit" but "who-is-it." Luckily a gift of lusciously luxe vintage clothes offers clues, and through the '50s wardrobe and accessories are to die for, Maddie is determined to iron out the wrinkles before the murderer can return to put an end to a promising fashion career. A conspiracy is afoot and the gang doesn't know why someone wants Isobel, Maddie's intern, dead. Being able to read clothes, gives Maddie inside information that she passes on to the detective and FBI agent handling the case. It will take the efforts of Maddie, Nick and Werner to unravel this mystery and save the life of a young woman who Maddie has taken a liking to. This was a fun and enjoyable read that will have you smiling with all that is Madeira Cutler. With truly lovable characters, great dialogue, and glimpse of vintage fashion apparel, this was the best book yet in this enchanting and fabulous series that gets better with time. Della is in the middle of Operation Pie, a bake sale contest to raise money for charity, when her sweetie pie, Nicholas, drops a bombshell: he has an eighteen-year-old daughter named Celeste, whom he hasn't seen since she was a baby, and she's coming to live with him. But when Celeste-who has some half-baked acting ambitions-becomes embroiled with a Hollywood photographer who intends to exploit her, her father flies into a rage. When Nicholas is discovered at the scene of the man's murder, he becomes the prime suspect. It's up to Della to find the real killer, save her man, and find some way to bond with Celeste, before they all get burned. Happy Father's Day! Unbeknownst to Della, Nicholas has a nearly adult daughter, Celeste. With Celeste's lofty goals, she takes some not so pretty photographs which enrage Nick and when he is found near the photographer's dead body, Nick immediately becomes the prime suspect. Della does what she does best by easing her way into the police investigation. What a great read! The first line; that is all it took and I was quickly turning the pages on this action-filled story that I could not put down and kept me guessing. I welcome my annual visit with Della because I know she's going to be making delicious meals while grilling suspects. The wonderful characters, the great conversational flow and the comfortable ambiance create a charming and delectable read in this scrumptious series that keeps getting better and better. Click here to see my other reads. Dru Ann, I need you to choose my books for me! :) You always read such interesting stories. Great reviews; now I've got a couple of new-to-me authors to investigate. Thanks! Have enjoyed Camille Minichino's periodic table series and look forward to her two other series in whatever incarnation, the Knowles and Miniature mystery series. Will check out the other authors whom you have suggested. Always enjoy your reports Dru. Thanks very much! Thanks Dru -- I'm glad you like Professor Sophie Knowles! 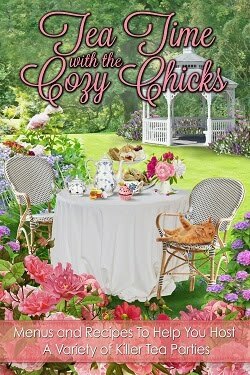 I'm looking forward to visiting Cozy Chicks with a blog on July 27. Sounds like you've read some great books to recommend. I'll have to add a couple of them to my TBR list. More to add to my TBR pile. Wheeeeee!!! Thank you so much for the lovely review, Dru! Thank you, Dru!! I read one of the Vintage Magic books and really enjoyed it but I had forgotten to write down the author's name. Now I have it thanks to you!! Lots of books to add to my tbr list. I put the Jenna McKinlay on wishlist. Thanks Dru! Hmm I have only read the Annette Blair book, and I was not as happy with it as with the previous books in the series. I do like her writing style and humor a lot though. Have to check out all your other reads.